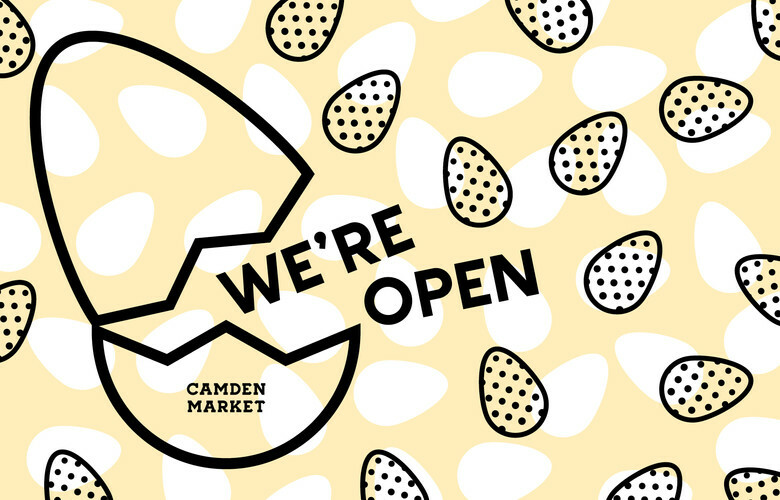 Camden Market is open for the Easter Weekender! Low and behold, we are open for the glorious 4-day weekend and even the spring sun is coming out to join us! The underground is running, however, for our non-London friends the bad news is Euston is closed from Good Friday until Easter Monday. The good news is we’ve got some cracking Easter foodie specials for those victorious against the national railway. Camden Market will be open from 10am until late. Commonly over the weekend traders stay open until 7pm but check individual opening times on our retail or food and drink categories! End your journey at either King’s Cross St. Pancras, Kentish Town, Old Street, Marylebone or Highbury & Islington to name a few mainline railway stations nearby - just make sure to get the Northern Line Northbound on the Edgware Branch! Vroom vroom - get your petrol/diesel/electric car filled up and make the treacherous journey via the motorway, be warned the roads will definitely be packed over the 4 days. Tough it out on the national coach, they have free wifi (usually) but the journey is a long one and the toilets are deadly so book tickets on this at your own risk. Or be a real maverick and ditch school or work early on Thursday and waltz back in a little (or very) late Tuesday morning. The kids are driving you mad and you need to escape the house and provide some familial fun, head down to Plonk Golf! As they embark on their annual Easter Egg Hunt on their wacky and fun miniature golf course. Hurry though, the last two hunts are on Wednesday 17th and Thursday 18th. Two adult and two child tickets cost £20 - bargain! 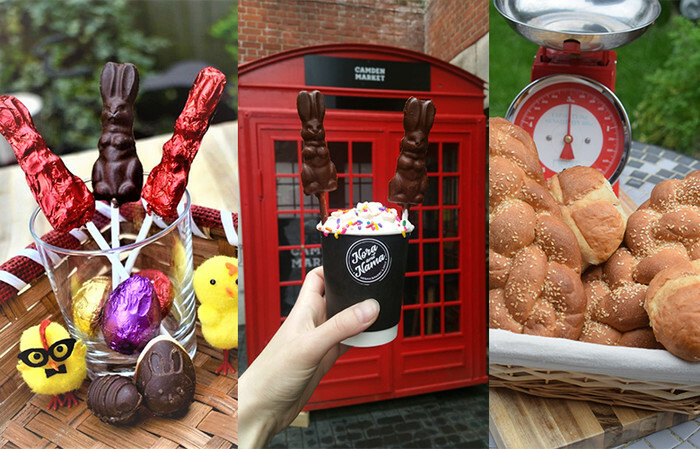 The vaguest of holidays causes all the foodie specials to come out and play, and Easter weekend is no different - though these treats are available from now until Easter Monday (or Tuesday if you’re a lucky bunny). A Nitro poached Edible Egg shell that billows clouds of nitrogen when cracked with Velvety Chocolate Mousse, Gold Popping Candy and creamy Passionfruit Kombucha Sorbet. Don’t despair, vegans, Nora & Nama (our resident vegan patisserie) have saved the Easter weekend for you! Here’s a breakdown of all the vegan easter treasures you can gorge on over Easter if you still have room after all the easter eggs! If you thought we were going to leave you high and dry without any retail saving you are mistaken! Over the Easter weekender, we have some exclusive discounts only to be had in Camden Market. 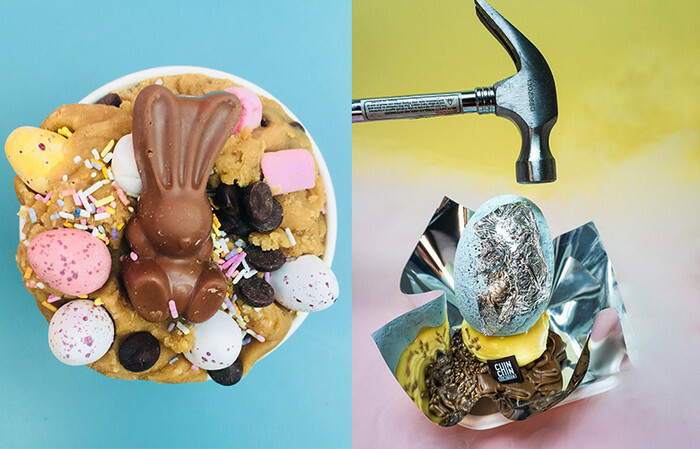 You’ll find us digging into all these delicious sweet treats this long Easter weekend!